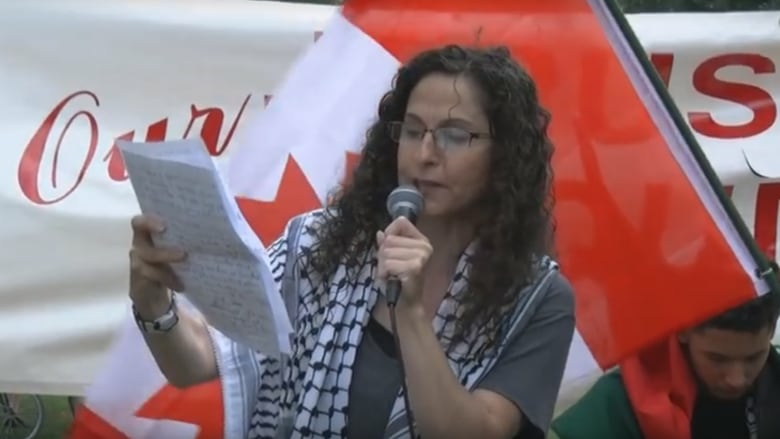 Several academics and an activist spoke out at Queen's Park Wednesday in support of a teacher suspended by her Greater Toronto Area school board after she spoke at a pro-Palestinian rally. Nadia Shoufani, an elementary teacher at St. Catherine of Siena school in Mississauga, is suspended with pay pending further investigation by the Dufferin-Peel Catholic District School Board, the board said in a statement last week. The school board confirmed in July it had launched an investigation into Shoufani's comments at the July 2 Al-Quds Day in Toronto. But the board did not confirm in its statement that Shoufani was suspended for what she said — comments that outraged both the Friends of Simon Wiesenthal Center and B'nai Brith Canada, which accused her of publicly supporting violence and terrorism in Israel. The Ontario English Catholic Teachers' Association, which represents Shoufani, said the teacher wasn't suspended for her conduct, but instead for appearing to not comply with the investigation. 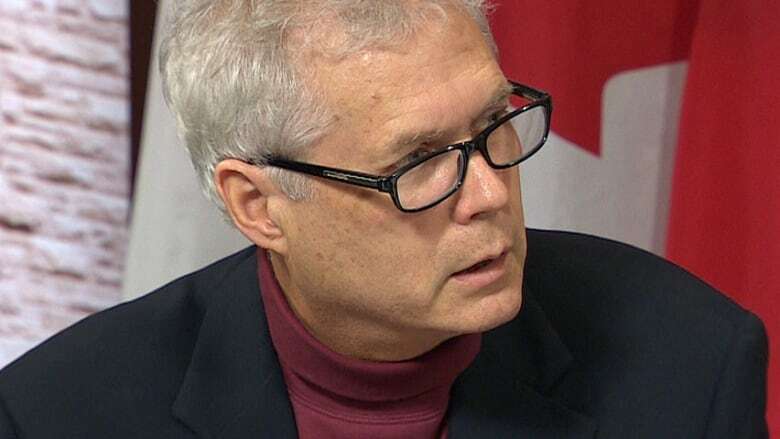 At Queen's Park, Graeme MacQueen, a retired McMaster University religious studies professor, said Shoufani's right to speak out must be respected. "We hear that she's being punished for supporting violence and terrorism," MacQueen told reporters. "This harassment is not about violence and terrorism, it's about preventing criticism of Israel." MacQueen said the point isn't whether or not people agree with Shoufani's statements, it's whether or not she has the right to voice them. During her speech, which was captured on video, Shoufani called Ghassan Kanafani, a Palestinian writer killed in 1972, a "martyr," and criticized the detention of Georges Ibrahim Abdallah, a Lebanese militant imprisoned in France for killing two U.S. and Israeli officials. Both men are linked to the Popular Front for the Liberation of Palestine, a group Public Safety Canada lists as a terrorist entity. Shoufani has not responded to multiple requests for comment on this story. Activist Karen Brothers said she listened to Shoufani's comments and believes they're legitimate. Shoufani has the right to speak out about what's happening in the region, Brothers said. "Since when is calling for justice terror incitement?" Brothers said. Michael Keefer, a retired University of Guelph professor, and Atif Kubursi, a McMaster economics professor who has worked with the United Nations, also voiced their support for Shoufani. They were joined by several other people in the Queen's Park media studio who wanted to express support for the suspended teacher. It's unclear when the outcome of the Dufferin-Peel Catholic District School Board's investigation will be known. The school board said in its statement that it doesn't release the results of such investigations.